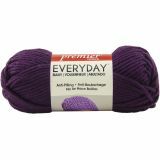 Premier Everyday Bulky Yarn - Purple - Premier Yarns-Everyday Bulky. 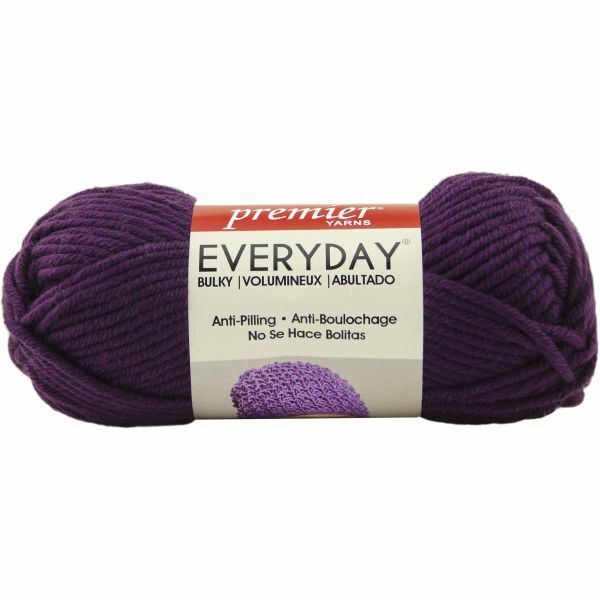 Let Everyday Bulky bounce into your stitching basket! Bright, bold, modern colors give this springy super bulky yarn a fun look. Projects stitch up in a flash, helping you wrap yourself and your family in the soft, anti-pilling acrylic. The anti-pilling acrylic will keep that bright, just-made look, wash after wash. Weight category: 6. Content: 100% acrylic anti-pilling. Putup: 3.5oz/100g, 87yd/80m. Gauge: 10sx12r = 4in/10cm on size US13/9mm knitting needles. Suggested crochet hook size: USM13/9mm. Care: Machine wash warm. Tumble dry normal. Do not iron. Do not dry clean. Do not bleach. Comes in a variety of colors. Each sold separately. Imported.